Color is one of the core aspects of interior design and can resonate immediately with a person. The choice of color in a living space instantly creates a certain mood, so it’s worth thinking carefully about what atmosphere you’re trying to create and what colors would best achieve this. Almost 100 years ago, Swiss painter Johannes Itten created four color palettes for each of the seasons, with green featuring heavily in the spring palette. The springtime personality is energetic and creative, with a steady stream of ideas flowing and gladly shared. Spring has an aura of optimism and new beginnings, so this could be reflected in the reinvigoration of a living space to enhance this uplifting outlook. This infographic from EZ Living Interiors delves into the concept of spring color psychology, explaining its origins and standout personality traits and advising on how it can be implemented throughout your home. The inclusion of bright colors, quirky handcrafted items, houseplants and patterned furniture helps to create a vibrant springtime mood within a living space, with the maximization of natural light also capable of making a real difference. 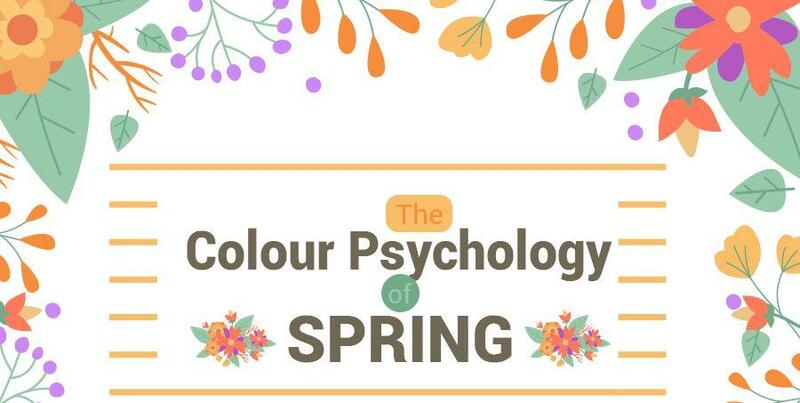 Check out the infographic below for more on the color psychology of spring.